With Spring finally taking control of the forest, the wildflowers are as vibrant as ever. 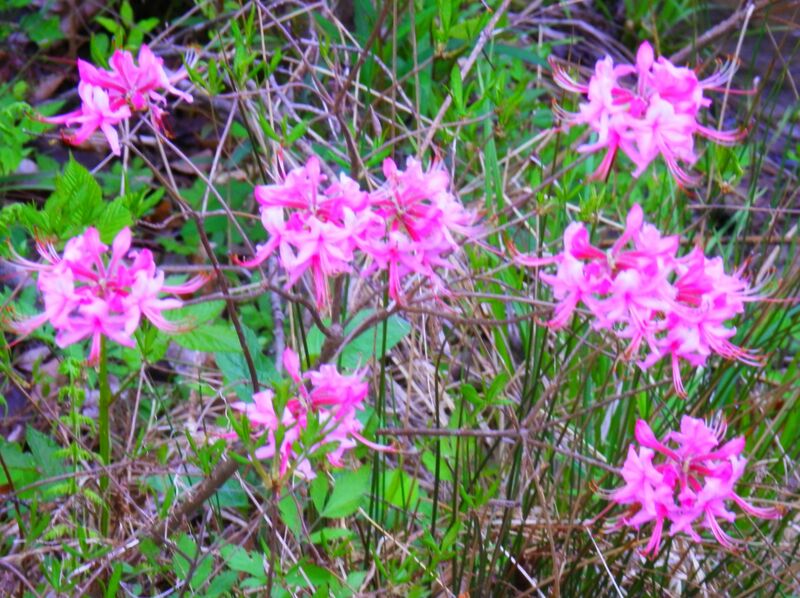 These Wild Azaleas were along a small creek near the house. 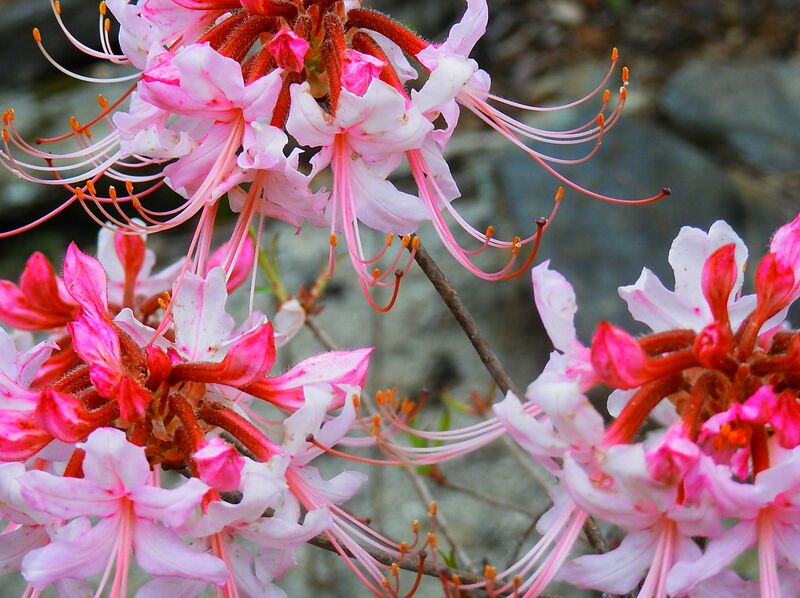 Although this is my fourth Spring in the mountains, this is the first time I recall seeing these bushes blooming. 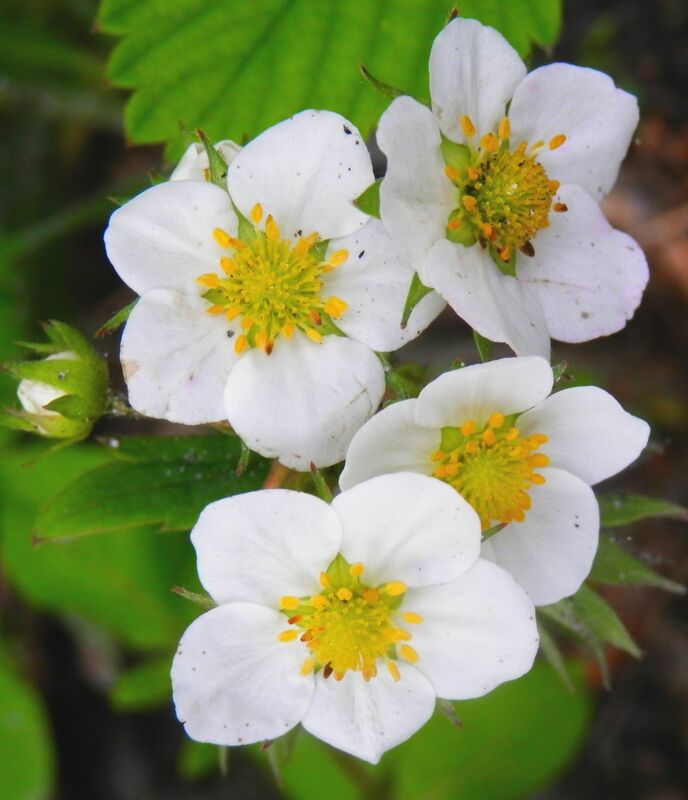 These simple white flowers, above, are part of a vine system that covers much of the ground around my meadow. With lavendar being my favorite color, I especially love the small wildflowers covered in morning dew, and the impressive Empress Tree with its trumpet like blossoms that carry the scent of sweetness and purity when they are blooming. Just click on any of the above images and move through the slide show at your own pace. 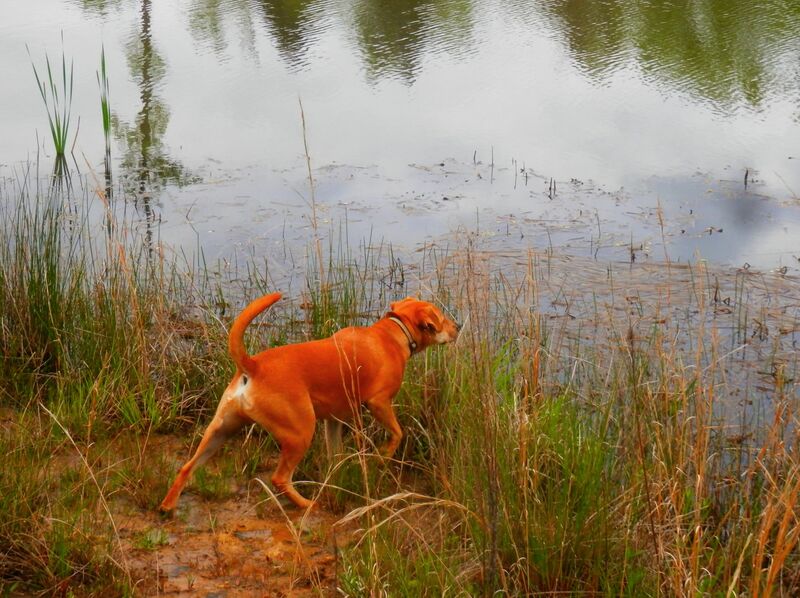 Buddy, my trusty hiking companion, is facinated by the ducks in Otter Pond. A pair of Eastern Wood Peewees has nested under my deck every spring since I moved here. 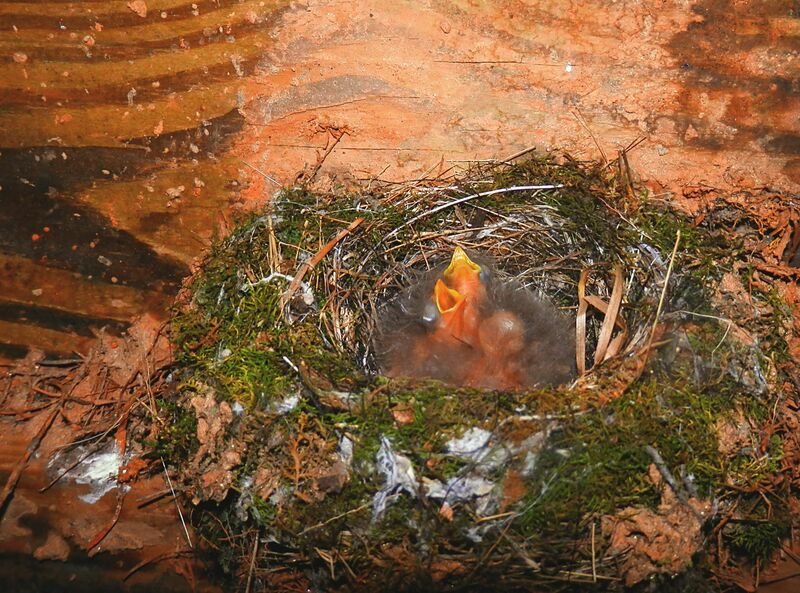 Yesterday, three eggs hatched, and three hungry chicks cried our for food. The Peewees eat only insects that they catch in mid-flight like our bats. 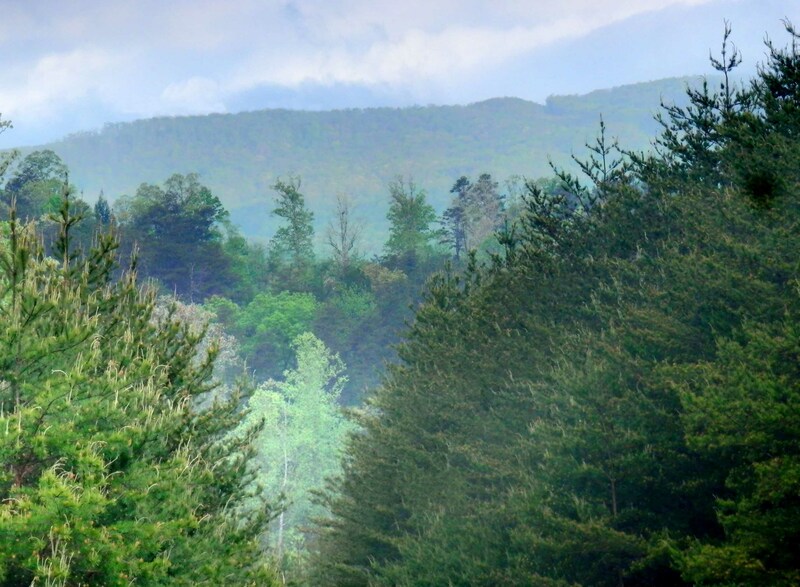 Distant Wolf Pen Mountain makes the ideal backdrop for the many green shades of Spring here in Otter Creek Valley. The video below was made a few days ago at the feeder in my meadow. Turn the sound up, and listen for the Wild Turkey and the Pileated Woodpecker. The blue bird is a male Indigo Bunting, common here in the South. The Goldfinches have just arrived, and watch for the grey Tufted Titmouse near the end. He has very expressive dark eyes. They tend to dominate the other birds. You have a bountiful flower garden and don’t have to tend to it. Paused for a moment and watched the viseo. Enjoyed as usual. Last year was the first time I had seen an Indigo Bunting. He was at my feeder again last week. Thanks for sharing. As usual the flower pictures are stunning! Love lavender myself, would so enjoy seeing an Empress tree outside my window, plus the smell must be something. I’ve watched your bird video twice now with one of my cats one my lap, she’s fascinated by it, wish I could video her for you, you’d get a kick out of her. Lucky you to have so many different birds visiting your feeder. BTW, any more bear sightings? This post is from two years ago this week. The Wood Peewees have built a new nest, and these wildflowers have yet to bloom. It rained for a few minutes this afternoon for the first time in three weeks, and the lack of water is affecting everything.